November 12, 2016, was the last time we saw Conor McGregor in the UFC octagon. 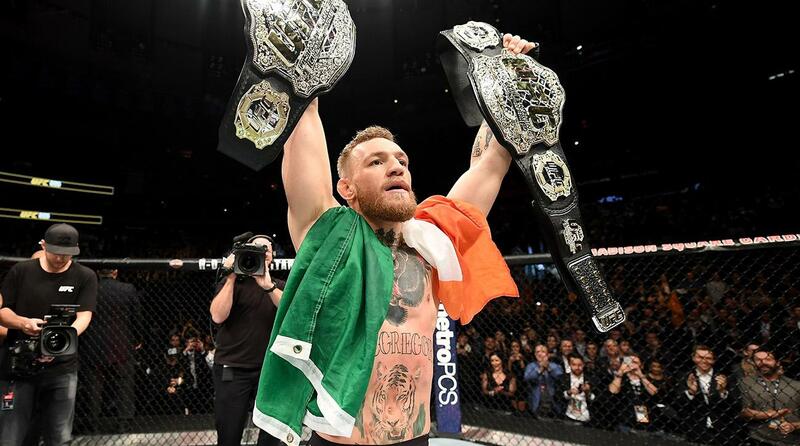 On that night, he became the first fighter ever to hold championships in multiple weight classes simultaneously by defeating Eddie Alvarez to win the UFC Lightweight Championship to add to his UFC Featherweight Title. During his time off from the UFC, he was stripped of both titles due to inactivity. A large part of his hiatus from the UFC was because of the essentially year-long promotion of his boxing match against Floyd Mayweather that took place in August of 2017. This was the most watched fight in history and McGregor made over $50 million from the promotion and fight. He was set for life, he never had to fight again. He could’ve spent his days running around Ireland in his sports cars, drinking his own brand of whiskey, Proper Twelve, and enjoying the luxurious lifestyle of a $50 million man. But the Notorious has other plans. He wants to reclaim what is his, and prove yet again he is the #1 pound-for-pound fighter in the world. 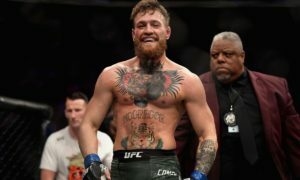 In August, it was announced by UFC President, Dana White, that Conor would fight the current undefeated Lightweight Champion Khabib Nurmagomedov at UFC 229 on October 6th in Las Vegas. Soon after it was announced that McGregor had signed a six-fight deal with the UFC. The perfect Mcgregor Cocky Smug Animated GIF for your conversation. Discover and Share the best GIFs on Tenor. Obviously, McGregor has plans to reclaim not only his Lightweight Championship but his Featherweight Championship as well. At 21-3 McGregor has seen massive success in the UFC and seems like he has plans to make that record even more impressive. His only three losses have come from submission, the most recent being to Nate Diaz in their first matchup, where Nate choked Conor out. Since then, Conor has been hard at work on his Jiu-Jitsu, earning his Brown Belt under John Kavanaugh. He remembers having to submit, and he wants to make sure that doesn’t happen again. As I’ve said in my previous blog about UFC 229, Khabib is a ground and pound expert, he takes people down and pummels them, and his 26-0 record proves he is a worthy champion, but Mystic Mac still has fight left in him and is looking to humble the celebrated Russian fighter. The fight is this Saturday, October 6th and is a must watch for any fight fan. Let’s take a minute to watch some of Conor McGregor’s best moments in his illustrious UFC career.